These Three Stocks Are on the Move for Different Reasons; What Does Smart Money Say about Them? Shares of Lattice Semiconductor (NASDAQ:LSCC), Ambev SA (ADR) (NYSE:ABEV), and NewBridge Bancorp (NASDAQ:NBBC) are trending in afternoon trading for various reasons. Given each stock’s abnormally strong volume, let’s take a closer look at the stocks and examine what top investors think of them. But why do we track smart money activity? From one point of view we can argue that hedge funds are consistently underperforming when it comes to net returns over the last three years, when compared to the S&P 500. But that doesn’t mean that we should completely neglect their activity. There are various reasons behind the low hedge fund returns. Our research indicated that hedge funds’ long positions actually beat the market. In our back-tests covering the 1999-2012 period hedge funds’ top small-cap stocks edged the S&P 500 index by double digits annually. The 15 most popular small-cap stock picks among hedge funds also bested passive index funds by around 53 percentage points over the 37-month period beginning from September 2012 (read more details here). 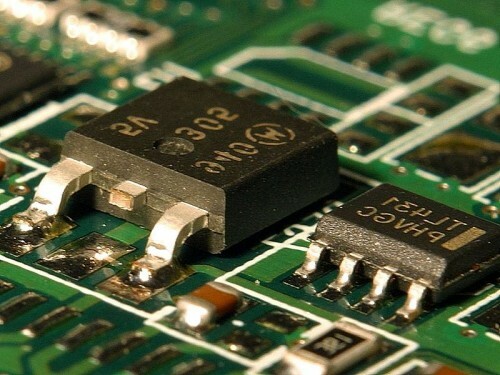 Shares of Lattice Semiconductor (NASDAQ:LSCC) are up 12.5% in afternoon trading as more investors move into the bullish camp and some of the 6.7% of the float that is short covers. Lattice shares have been beaten up in recent months after the company reported an ugly second quarter that missed earnings and revenue expectations. Given the recent acquisition of PMC-Sierra Inc by Skyworks, however, the negative sentiment around Lattice is changing for the better. Lattice shares currently trade for a reasonable 8 times forward earnings. Our data show that the smart money is generally bullish on Lattice Semiconductor (NASDAQ:LSCC) as those that we track amassed 12% of the company between April and June. Although the number of funds decreased to 13 at the end of the second quarter from 14 a quarter earlier, the total value of their holdings went up to $82.79 million from $77.79 million. George Soros‘ Soros Fund Management increased its position by 45% to 10.17 million shares, while John Overdeck and David Siegel’s Two Sigma Advisors raised its holding by 18% to 852,985 shares. Shares of Ambev SA (ADR) (NYSE:ABEV), the Brazilian brewer, are off by 4.12% in an ugly day for almost all Brazilian stocks. The Brazilian real has depreciated 50% versus the dollar in the past twelve months and economists recently downgraded Brazil’s growth prospects. Adding to the uncertainty is the potential impeachment trail against President Dilma Rousseff. Given its status as a consumer staple in a large emerging market, Ambev is a good long-term holding, but investors will need to be patient and wait for the Chinese economy and commodity prices to rebound before seeing better times ahead. Hedge funds are ambivalent on Ambev SA (ADR) (NYSE:ABEV). A total of 16 funds reported stakes worth $394.48 million (representing 0.40% of the float) at the end of June, versus 18 funds and $471.98 million at the end of March. Ken Fisher’s Fisher Asset Management owns 9.08 million shares. These Two Stocks are in Spotlights Today for Very Different Reasons What Hedge Funds Have to Say about These 3 Trending Stocks? SkyWest, Inc., Lattice Semiconductor, Blue Buffalo Pet Products Inc: Why Are... VMware, Inc. (VMW) , Infosys Ltd ADR (INFY): Why Did These Stocks Fall Today... Why Are These Stocks Plunging on Monday? Do Hedge Funds Agree with Jim Cramer on These Hot Stocks?